entral India Exotic Tour starts with arrival at Delhi Airport where our represen Ctative welcomes you and escorts you to the hotel for an overnight stay. 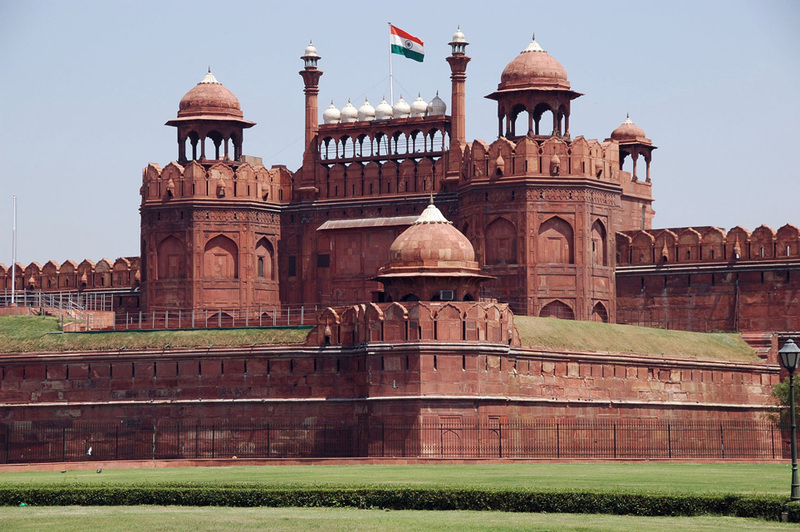 Leave for a post-breakfast sightseeing tour of Delhi, the proud capital of and window to India. Start with a visit to the ancient monuments of Old Delhi including Raj Ghat, Jama Masjid and Red Fort. Later, proceed to a tour of New Delhi that covers a visit to Humayun's Tomb, Qutub Minar and a memorable drive past Rajpath, India Gate, Parliament House, Rashtrapati Bhavan and Diplomatic Enclave. 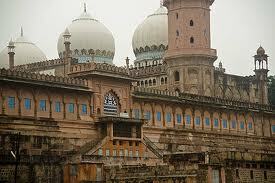 Today Central India Exotic Tour proceeds to Jaipur, the ‘Pink City of Rajasthan’. Check out from hotel post-breakfast and proceed to Jaipur by road. Stop midway at the majestic Amer Fort and take an elephant or jeep ride up to the fort. Visit the fort and later continue drive to Jaipur. Transfer to hotel on arrival. After a short rest, leave for a city sightseeing tour covering City Palace, Jantar Mantar and Hawa Mahal. Retire to the hotel for the night. Morning drive to Pushkar after breakfast and check in to hotel upon arrival. 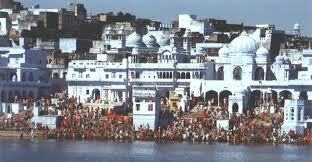 Freshen up and proceed for a visit to the famous Pushkar Temple. Return to the hotel for night stay. 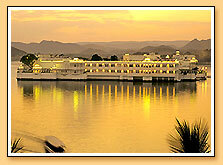 The beautiful ‘Lake City’ of Udaipur is the next stopover in your Central India Exotic Tour. Post breakfast drive to Udaipur and stop by at Chittorgarh on the way. 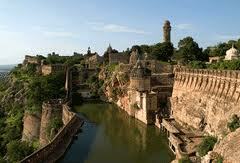 Visit the famous Chittorgarh Fort and later continue drive to Udaipur. Transfer to hotel on arrival for overnight stay. Leave for a post breakfast city sightseeing tour for the whole day. Visit the magnificent City Palace and later leave for an exciting motorboat cruise on Lake Pichola in the evening. Proceed to the beautiful Jag Mandir Palace that stands at the heart of the lake, Jagdish Temple that is over 300 years old and the cenotaphs of erstwhile Rajput kings. Retire to the hotel for overnight stay. Exotic Tour to Central India today continues to Dungarpur. Check out from hotel post breakfast and leave for Dungarpur by road. Transfer to hotel on arrival. Later, leave for a city sightseeing tour that covers Udai Bilas Palace, Juna Mahal, Gaib Sagar Lake, Vijay Raj Rajeshwar Temple and Government Archaeological Museum. Stay for the night at the hotel. Ujjain is the next destination in the tour package for Rajasthan with Madhya Pradesh. Morning visit the remaining attractions of Dungarpur and later leave for Ujjain by road. Check in to hotel on arrival for overnight stay. Leave for a post breakfast sightseeing tour of Ujjain. Visit its numerous attractions like Mahakaleshwara Temple, Bade Ganeshji Ka Mandir, Chintaman Ganesh Temple, Bhartrihari Caves, Harsiddhi Temple, Vedh Shala (Observatory) and Kaliadeh Palace. Later, drive to Mandu and upon arrival, transfer to hotel for night stay. 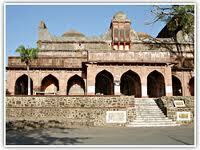 Morning, leave for a full-day sightseeing tour of Mandu. Spend the entire day exploring its several places of historic significance and later in the evening, retire to the hotel for overnight stay. Today we take you to Indore, the next stopover in your Madhya Pradesh tour plan. Morning drive to Indore while stopping over at Omkareshwar and Maheshwar Temples, the two major temple towns en route to travel to Indore. Omkareshwar is a popular pilgrimage center owing to its striking temples. Omkar Mandhata Temple is very famous here. 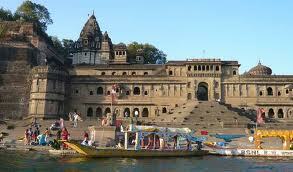 Maheshwar is another famous temple town nestled along the banks of River Narmada in Madhya Pradesh. Transfer to hotel on arrival for the night. Post breakfast check out from hotel and drive to Bhopal. Upon arrival, transfer to hotel for a brief rest and later, proceed for a city sightseeing tour. Visit the famous multi-art center Bharat Bhawan, Indira Gandhi Rashtriya Manav Sangrahalaya (National Museum of Mankind), Laxmi Narayan or Birla Temple and Taj-ul-Masjid. Overnight stay at hotel. 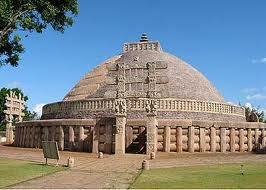 Central India Exotic Tour ends today and you check out from hotel after early breakfast to proceed for a short visit to Sanchi, the famous Buddhist pilgrimage site home to majestic stupas and museums. Later, transfer to Bhopal railway station to board train to Delhi. Upon arrival, head straight to New Delhi International Airport and board onward flight back home.